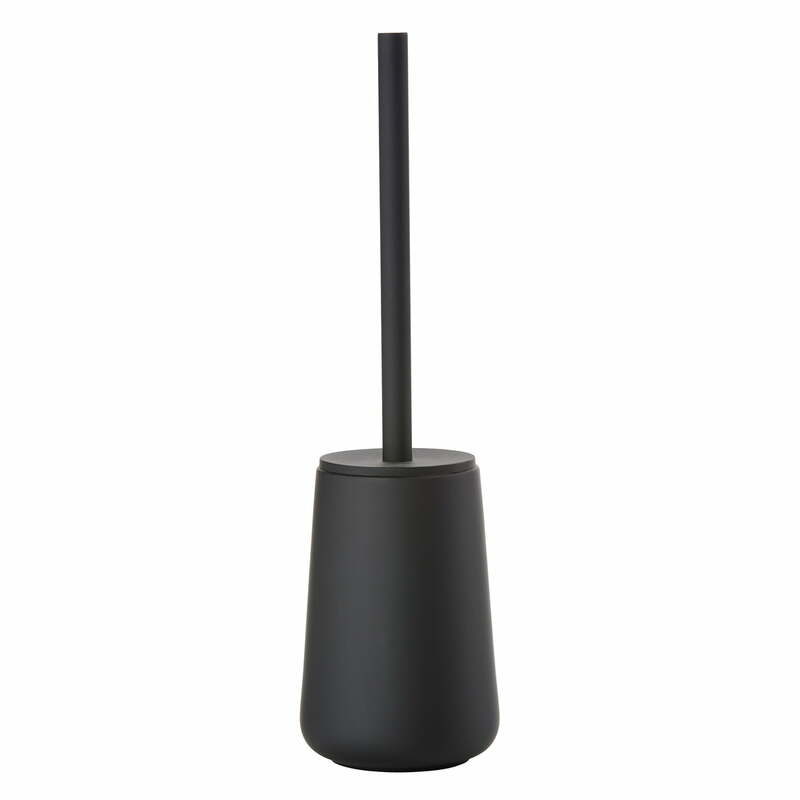 The Nova One toilet brush holder by Zone Denmark impresses with its timeless plain appearance. It is produced from porcelain with soft touch finish in various colours and has a handle made of stainless steel and belongs to the same name bathroom collection designed by Thomas Dudzinski, which features a timeless design. The soap dispenser, toilet brush and the toothbrush mug are available in the Nova One series made of stoneware. 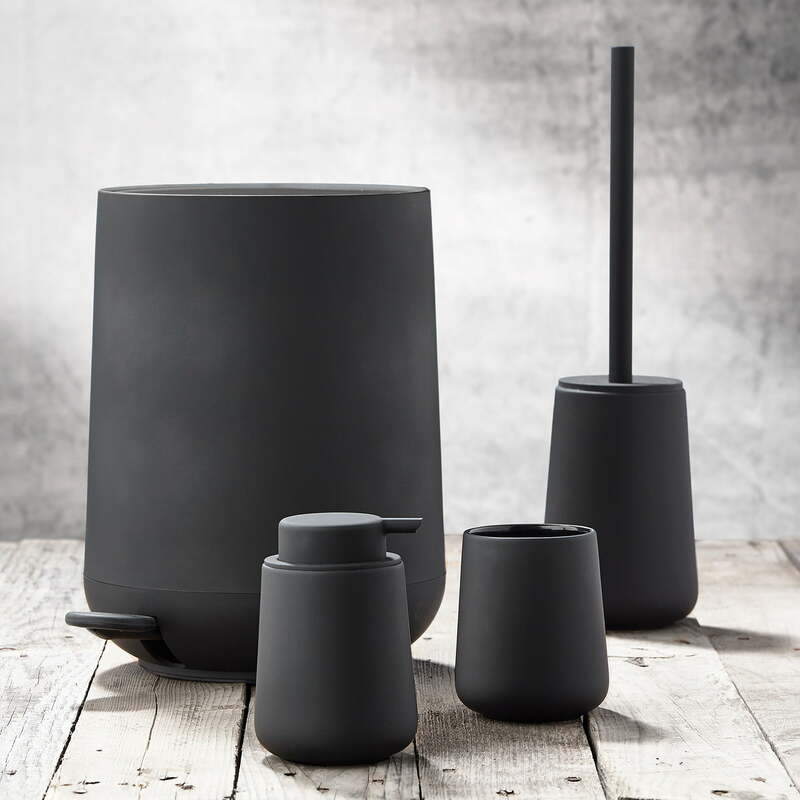 The Nova collection includes soap dispensers, toilet brushes, toothbrush mugs and soap dishes made of porcelain and a pedal bin made from ABS with soft touch finish in various colours. Love Zone Denmark brand! Very modern, stylish and practical toilet brush. Fits perfectly to minimalistic and Scandinavian style bathrooms! Very handy and easy to use. Bought this and also recycle bin, soap dispenser, toothbrush holder. Nice matching set, adds quality details to the bathroom. The lid of the brush is soft, rubber type of material. 2 of 3 customers have found this review helpful. This brush has a solid base so there is no risk of falling over. The brush itself is a good size for cleaning. The only downside is that the plastic stopper that is placed down the handle of the brush is a bit sticky and collects dust which is hard to get off. Product image of the Nova One toilet brush holder by Zone Denmark in black. It is made of stoneware with soft touch coating in black and stainless steel. The Nova series by Zone Denmark includes various living accessories for the bathroom. The harmonious curves of the products give the Nova series an elegant touch.